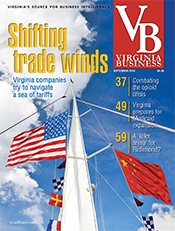 The state government is working with Newport News Shipbuilding as it expands its workforce to about 25,000 during the next four years, a net increase of 2,000 jobs. 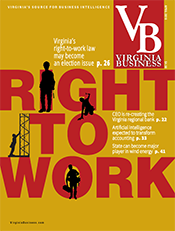 The Daily Press reported in late June that the commonwealth will promote shipyard job opportunities at state agencies involved in employment. 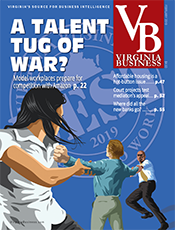 Another state initiative, Build Virginia, will focus on expanding employment and training in the shipbuilding, construction and advanced-manufacturing industries. 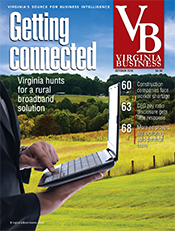 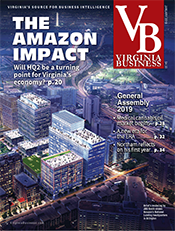 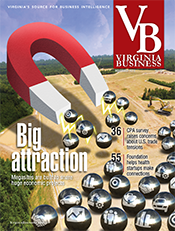 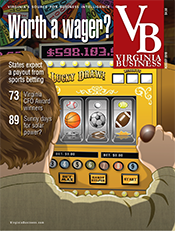 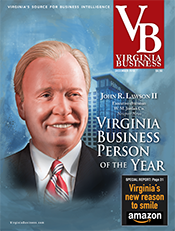 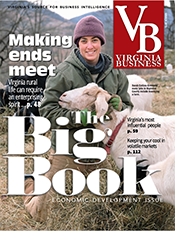 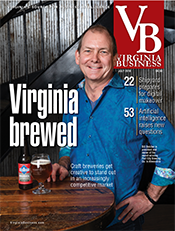 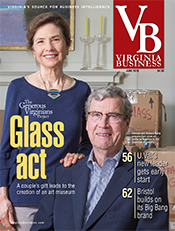 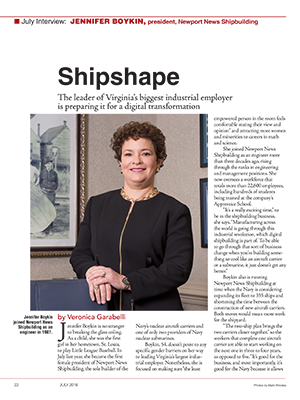 Virginia Business interviewed Jennifer Boykin, the president of Newport News Shipbuilding, in its July issue.